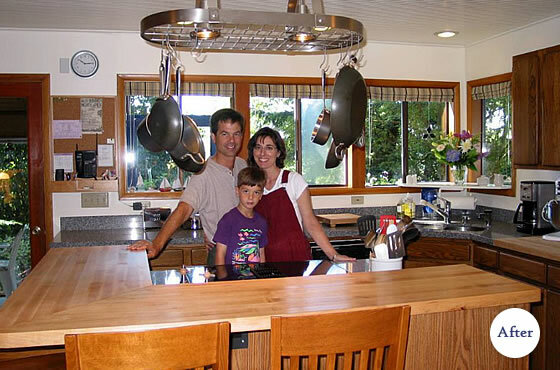 The Homeowners had four primary goals for the kitchen in this Craftsman home: 1) recycle their near mint condition cabinetry, 2) include an overhead pot rack with built-in lighting, 3) have in-kitchen eating for three or more that was not "bird on a wire" and 4) to put the refrigerator in a reasonable place (the back of the fridge was visible from the adjoining family room and sixteen feet from the sink). 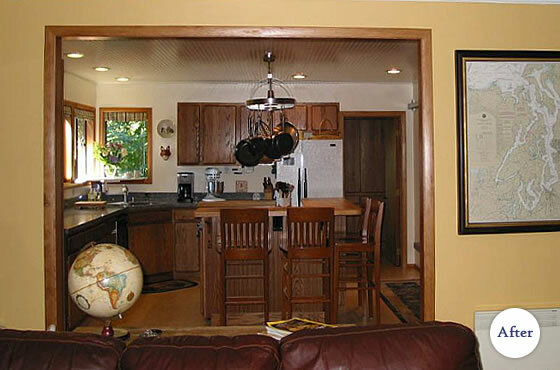 All of this was accomplished by relocating some of the cabinetry (and adding a few new units from the same manufacturer), abbreviating the walls between the kitchen and family room and careful planning. 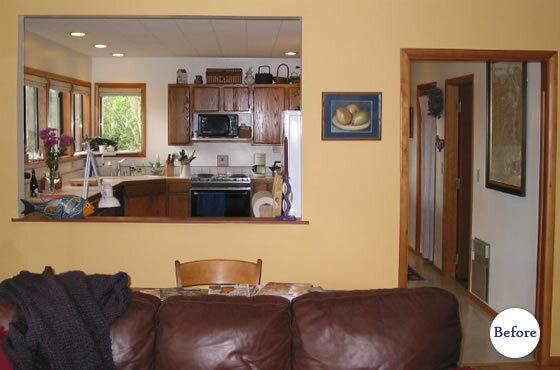 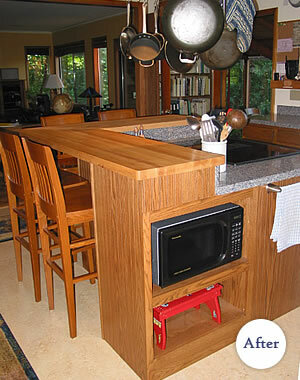 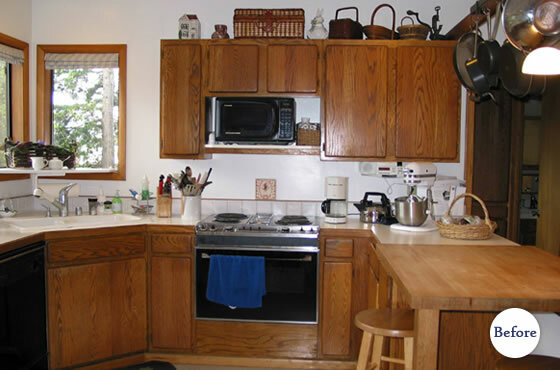 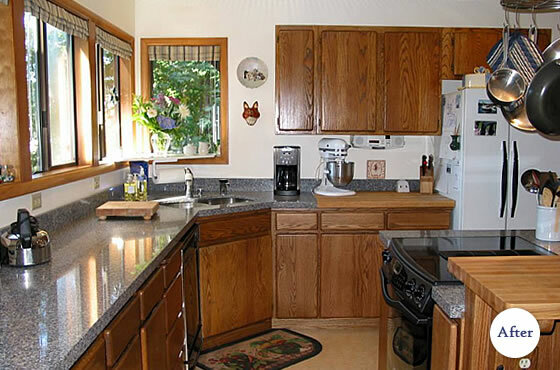 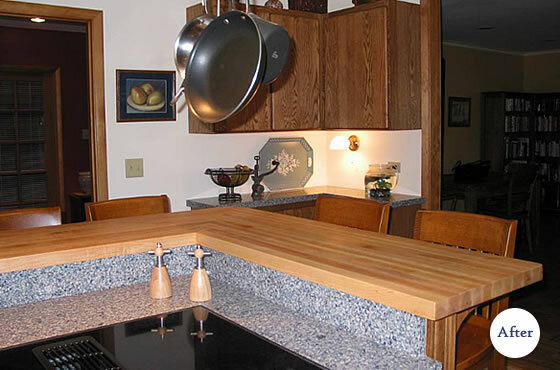 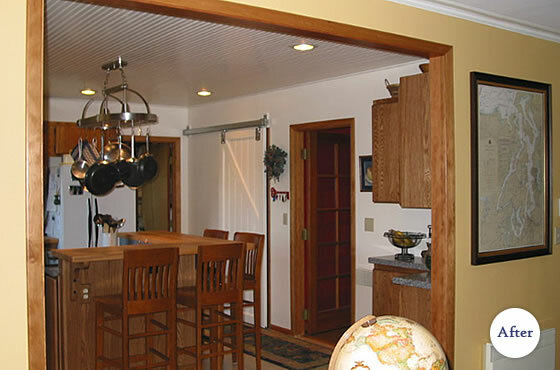 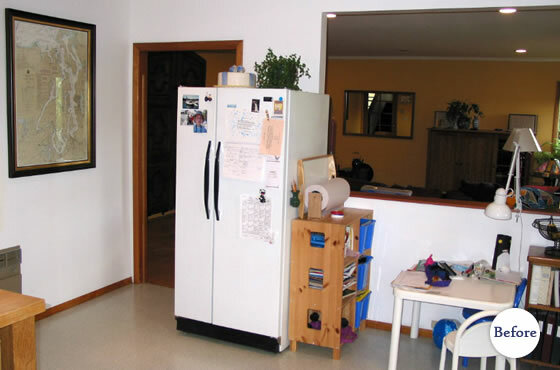 The Homeowner Susan B. summed up their project by proclaiming "they had a kitchen that works!"